The only silver lining is that the deadly Halahala is safe. For now. 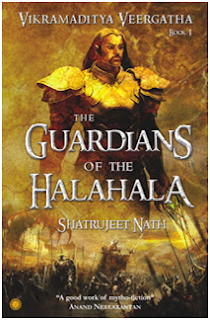 Bent on vengeance, Indra is already scheming to destroy Vikramaditya, while Shukracharya has a plan that can spell the doom for the Guardians of the Halahala. How long can the human army hold out against the ferocity and cunning of the devas and asuras? And will Vikramaditya’s love for his queen come in the way of his promise to Shiva? The deadly Halahala, the all-devouring poison churned from the depths of the White Lake by the devas and asuras, was swallowed by Shiva to save the universe from extinction. But was the Halahala truly destroyed? 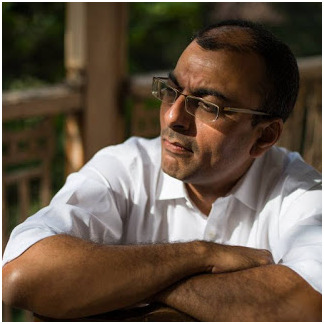 Door-to- door salesman, copywriter, business journalist &amp; assistant editor at The Economic Times; Shatrujeet Nath was all this before he took to writing fiction full-time. 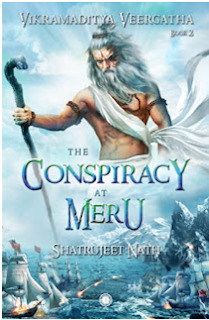 He debuted with The Karachi Deception in 2013, followed by The Guardians of the Halahala and The Conspiracy at Meru, the first two books in the Vikramaditya Veergatha series. At present, he is writing volume three of the series. Shatrujeet lives in Mumbai, but spends much of his time in the fantasy worlds of his stories. This feature is powered by b00k r3vi3w Tours.